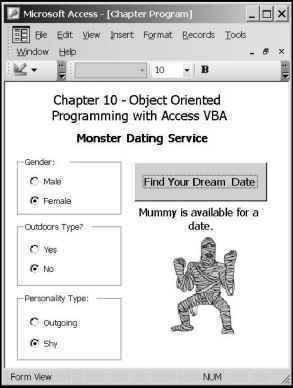 The Monster Dating Service program in Figure 10.5 uses chapter-based concepts to build a funny and simple application. 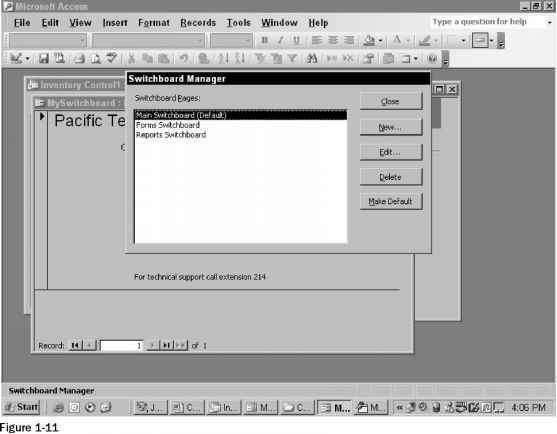 Essentially, the program allows a user to find an available monster for a date by selecting character criteria. Controls and properties of the Monster Dating Service program are shown in Table 10.2.